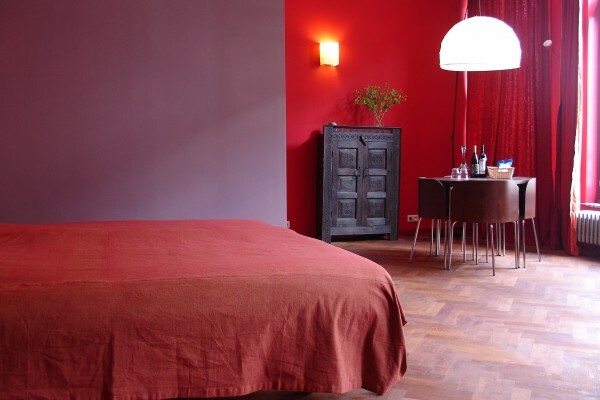 bed & breakfast in hartje Gent: ecologisch, biologisch, vegetarisch. Our suite is a wonderful, warm and spacious room on the southside. This is the former livingroom, on the first floor with lots of light, in red and orange. The room, like all our rooms, has its own toilet, sink and shower and free WIFI. You can enjoy heavenly with two : a grand room. Large double-bed : size 180x220cm. A great view on the street life is an extra.